View More In Divot Tools. 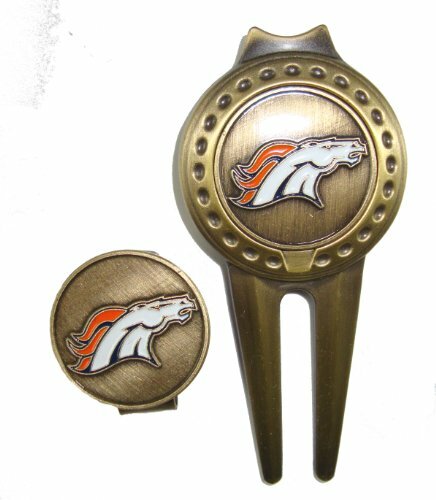 Orange Crush fans... Show your team pride and spirit while you golf by wearing a Denver Broncos golf hat clip with a magnetic golf ball marker. And, proudly repair the green with your divot repair tool. Forget about fumbling through your pockets for a ball marker. These attractive golf accessories fits securely to a hat, baseball cap, belt or rest in your pocket giving you the convenience to retrieve a ball marker at any time. Never Lose Your Golf Ball Marker Again! If you have any questions about this product by Waggle Pro Shop, contact us by completing and submitting the form below. If you are looking for a specif part number, please include it with your message.